Prisme Libre loose powder is a fusion of four complimentary, complexion refining shades that together, create a natural, unified, enhanced finish. Upon application, imperfections are diminished and skin is more even and porcelain in nature, with a lasting, luminous, matte finish. 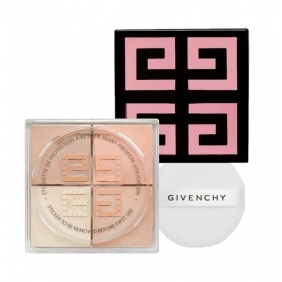 description:wholesale makeup|wholesale cosmetics|cheap brand makeup GIVENCHY PRISME LIBRE  - Prisme Libre loose powder is a fusion of four complimentary, complexion refining shades that together, create a natural, unified, enhanced finish. Upon application, imperfections are diminished and skin is more even and porcelain in nature, with a lasting, luminous, matte finish.